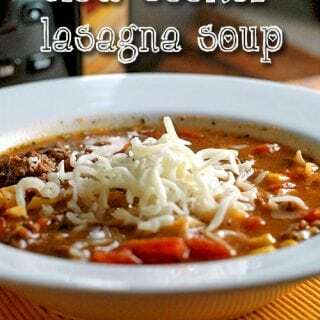 Slow Cooker Lasagna Soup - Recipes That Crock! 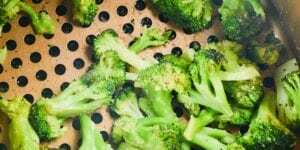 Are you looking for a new kind of soup to toss into your crock pot? 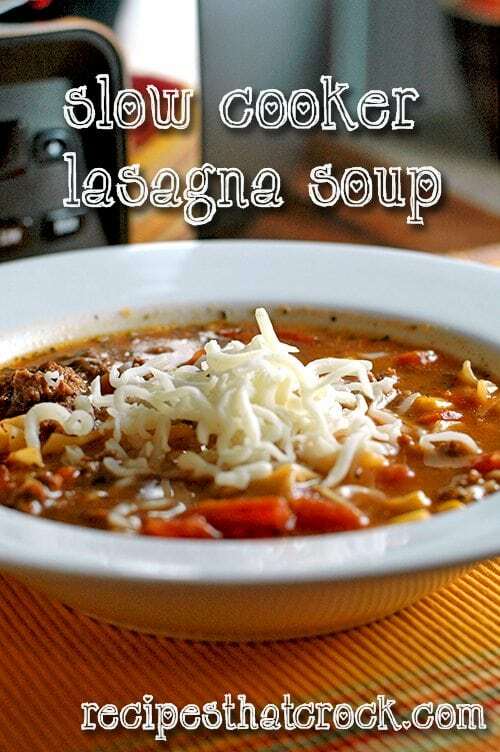 This Slow Cooker Lasagna Soup is a great way to switch up your soup routine! The original recipe for Hearty Lasagna Soup can be found in Gooseberry Patch’s Slow-Cookers, Casseroles & Skillets . 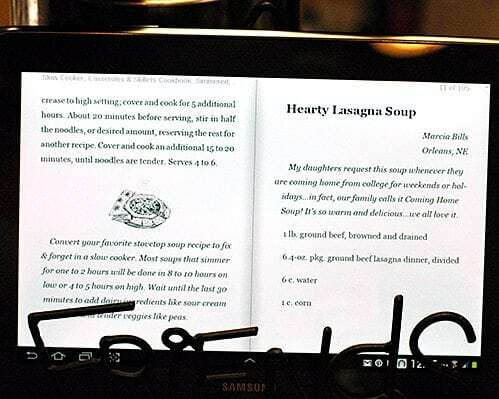 This is great cookbook that I have kept on my smart phone and tablets for years in the ebook version. It calls for 1 lb of ground beef, but I knew I was going to make another ground beef dish later in the week, so I took this opportunity to brown it all at once and then bag up half for later and use my pound for this dish. 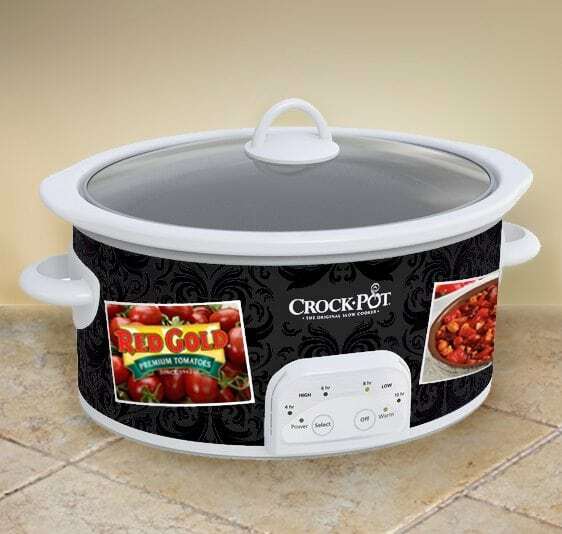 Better yet, I used my stove top safe slow cooker to brown the meat right on my stove in the crock! Once the meat was done and the half for later in the week was removed, I was ready to pop the crock back in the slow cooker and get it cRockin’! 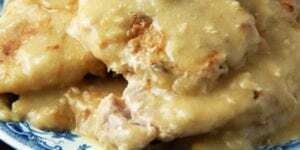 Once you have your meat browned, add the lasagna sauce mix, water, corn and undrained tomatoes. 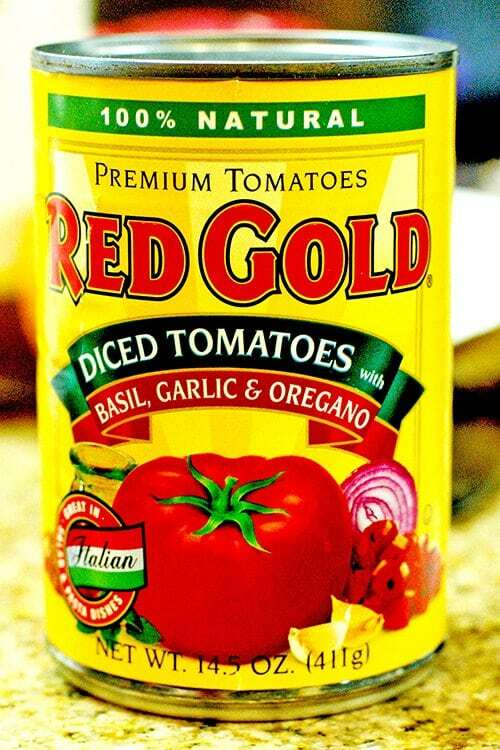 I highly recommend these diced tomatoes from Red Gold that are seasoned with Basil, Garlic and Oregano. The flavor is phenomenal. Then stir in your lasagna noodles and cook an additional 20 minutes. 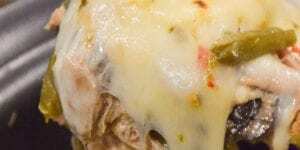 Top your lasagna soup with some mozzarella cheese or even a dollop of ricotta. Next time I might even make it with sausage instead of ground beef. 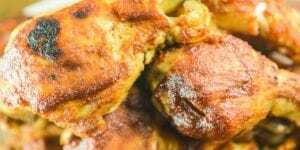 Puddie loved this recipe. It was a really different soup from our usual soup line up. 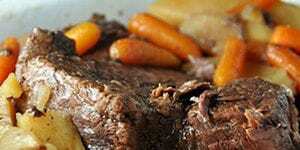 Place ground beef in slow cooker. Add Lasagna mix (reserve noodles), water, corn and undrained tomatoes. Stir in noodles and cook for 20 minutes longer. 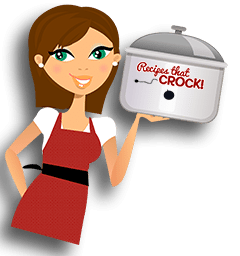 Psst…My friends over at Red Gold are giving away TWO Crock Pots a day (44 in all!) from September 17, 2014 through October 8, 2014! You can enter to win on Red Gold’s Facebook page (mobile users should use this contest link instead). 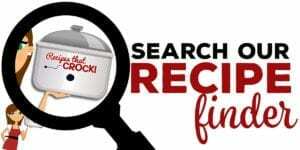 So go check it out and come back for more great slow cooker recipes! Made this for dinner tonight~ so yummy! It’s a keeper for our family for sure!! !